The first "new" Rockman game of the year released in Japan today: Rockman Solitaire. And well, uh, there's not much else to say than that, really. 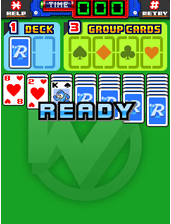 It's solitaire with a Blue Bomber twist! 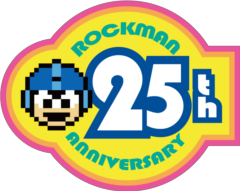 Rockman is the King, Roll the Queen, and Blues the Jack. Like Rockman Sprite Logic before it, the game is flash based with no additional fees. Simply throw down a cool 315 Yen and it's yours. 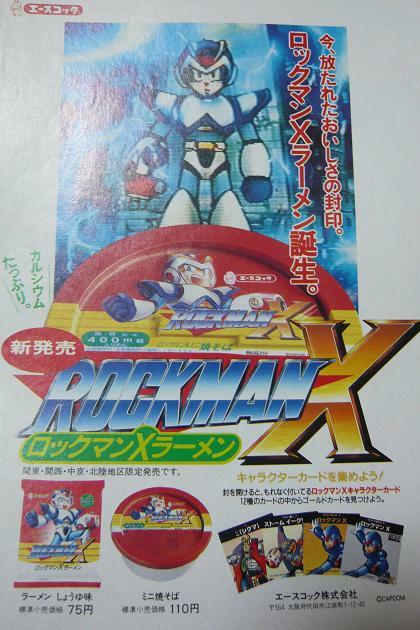 For a bite sized puzzle game, I have to admit that's a pretty kickin' pose of Rockman there. Sprite rippers, you've got a job to do! Bandai has unveiled a small helping of delicious promo images for Zero Type 2. 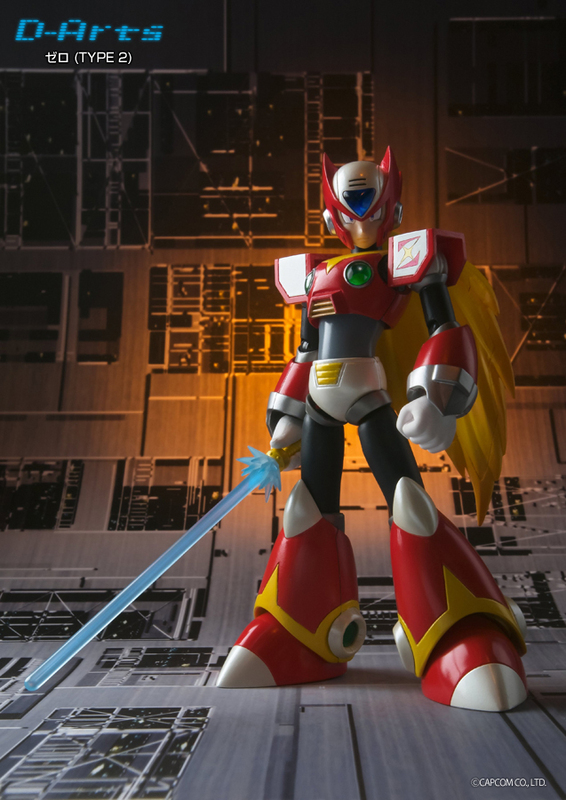 Along with the additional gold trim and boxed shoulder guards, Zero will come with his trusty Z-Saber and Z-Buster. Additional accessories have yet to be detailed, but we do know that the Z-Saber will have multiple interchangeable beam parts. By and large, this is the D-Arts Zero you've been waiting for! Type 2 is due for release in May in Japan for 3500 Yen (roughly $45), followed by a U.S release in June courtesy of Bluefin Tamashii. 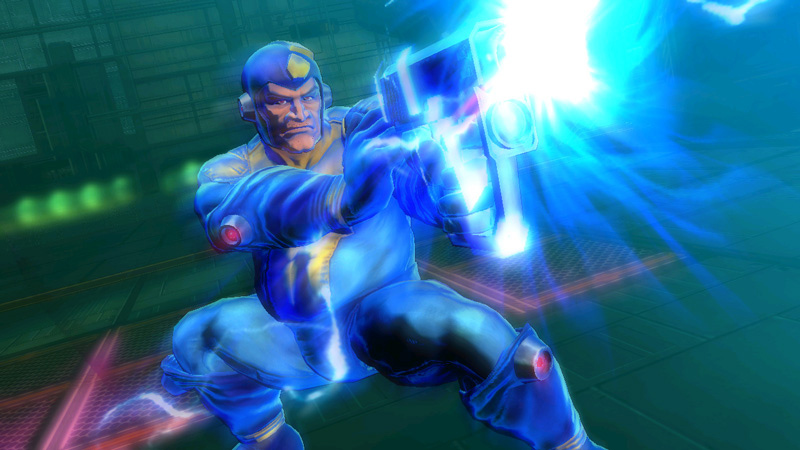 Following the reveal of Bad Box Art Mega Man in Street Fighter X Tekken, fans quickly took to the Ask Capcom forums to voice their opinions concerning the Blue Bomber's appearance. One user by the name of Daemon Gildas asked if the prospect of a more "traditional" costume was within the realm of possibility, perhaps as DLC. Vice-president of Strategic Planning & Business Development, Christian Svensson, stepped in to field the inquiry, leaving a hopeful (albeit short) response. 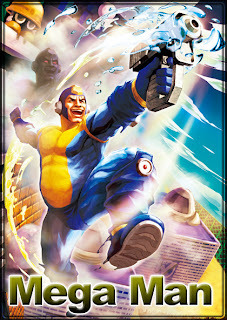 Daemon Gildas: "Is there any chance at a more traditional "costume" for Mega Man in Street Fighter X Tekken? 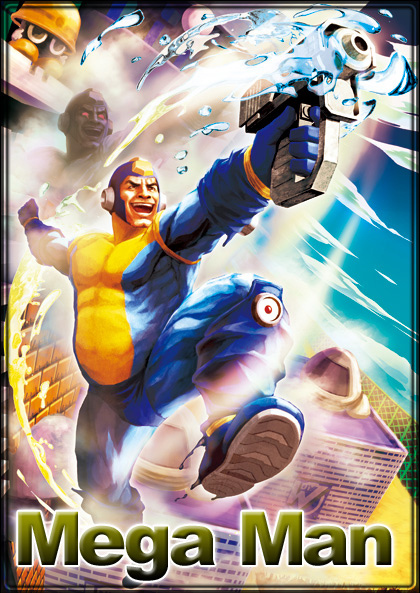 What about using the "Mega Man" seen on the movie-posters in Dead Rising? Or maybe a look based on the Ruby-Spears cartoon? 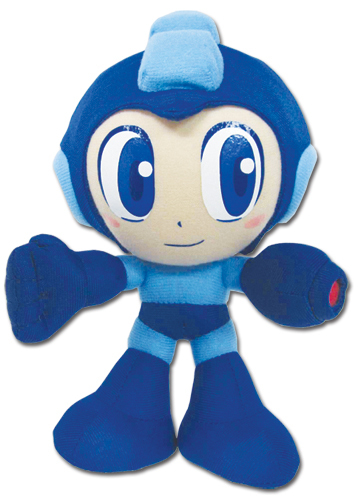 That way, we have the option of a less-creepy incarnation of the Blue Bomber, while still playing along with the slightly-cheesy nature." Svensson: "Interesting suggestion. Maybe. Let me chat about it with Ono." For those not in the know, Yoshinori Ono is the producer of Street Fighter X Tekken. One year prior to Keiji Inafune's leave, Ono received the former's blessing when opting to include BBA Mega Man in the game. However, fans are still largely irked by the decision, with criticism largely directed at the character's exaggerated proportions and biography (which takes an inexplicable poke at the Mega Man Legends mythology). There's no guarantee Ono will yield to the idea, but Svensson's on the case regardless. In the meantime, you can try your hand at pitching the suggest yourself directly at the producer via Twitter. What if Mega Man Star Force 3 Was an NES Game? The above video comes from Tarbo-san, who's been toiling away at re-creating bits and pieces of Mega Man Star Force 3's most memorable scenes in 8-bit style. This month, he's showing off a more solidified version of his 8-bit SF3 mini games, updated for 2012. Even if it's nothing more than a conceptual video (and not a reflection of an actual fan-game), the prospect of playing Star Force in 8-bit had my heart racing. You can check out more of Tarbo-san's goodies at his blog (entirely in Japanese) and his official YouTube channel. Here's some additional Bad Box Art Mega Man (and Pac-Man) footage that flew under my radar yesterday. For a pudgy little guy, he's surprisingly agile. Anyway, in case you missed it, be sure to check out the post below for Yoshinori Ono's explanation why BBAMM was chosen for Street Fighter X Tekken. It may help alleviate some of the frustration that's been making the rounds. Also, I'd like to direct you to this post at The Mega Man Network. 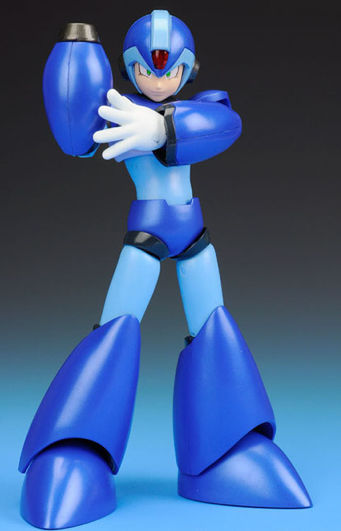 The staff would like for you to "send in a recording of your personal thoughts this appearance of Mega Man, and your stance on things in general." A select few will be chosen to be featured on February's Megacast podcast. Click on the link above for full details! 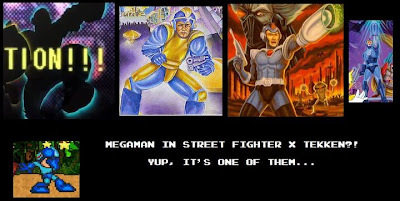 The rumors are true: Bad Box Art Mega Man is a playable character in Street Fighter X Tekken. Confirmation comes directly from the official SFxT website. "Known as a Digger, a person who digs up relics from the past for research. He is a hot-tempered man, but has a strong sense of justice and is also very polite. His weak point is that he is easily rattled when backed into a corner. He is always running around in a hurry due to the demands of his partner Roll, and this time he's been asked to travel to Antarctica to retrieve a mysterious box." 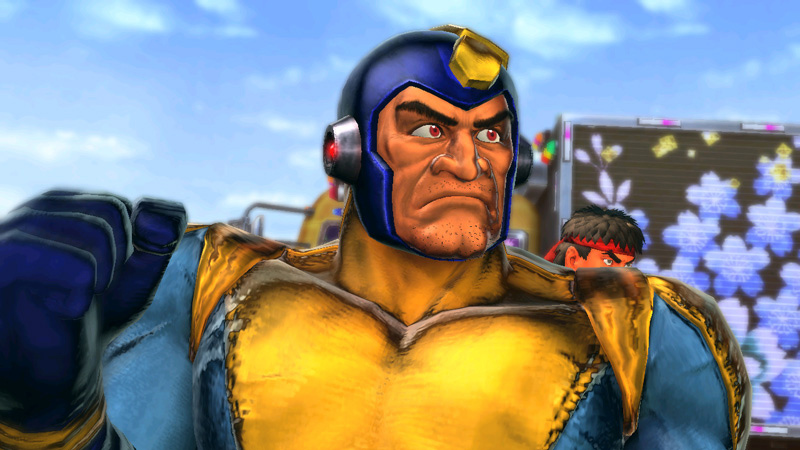 ... so, he's a middle-aged Mega Man Volnutt? Okaaay. 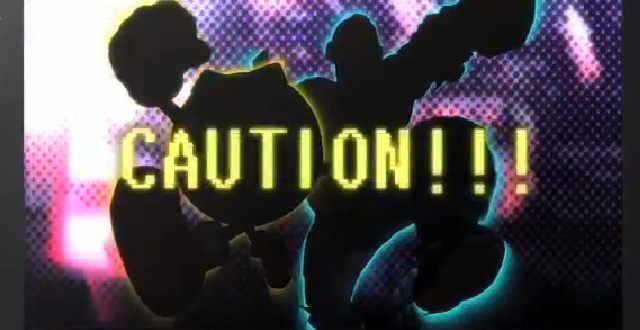 BBA Mega Man is currently planned to appear alongside Pac-Man, Toro, Kuro and Cole as PSVita/PlayStation 3 exclusive fighters. It remains to be seen if he will appear in either or both versions. "I consulted with Mr.Megaman(his name is Mr.I...) about it 1 years ago.Its result! 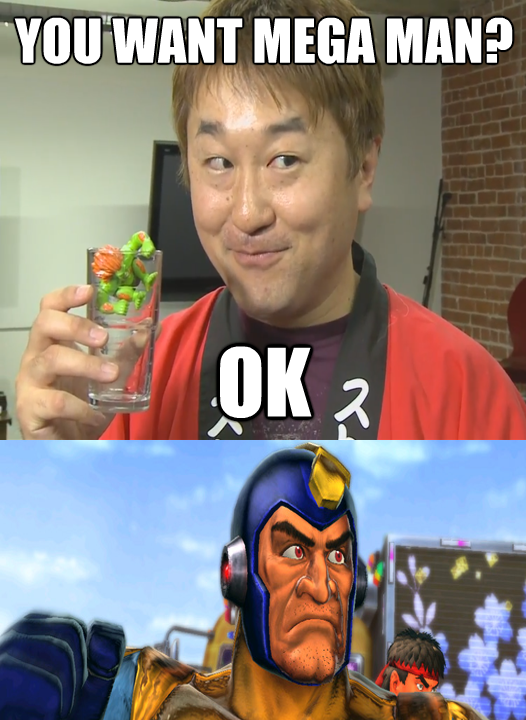 ;D"
It would seem Ono actually consulted with Keiji Inafune when considering Bad Box Art Mega Man for the game. This means BBAMM's inclusion was planned way back when Mega Man Universe was still in production. So, yeah; chew on that for a while. We'll keep you updated when more information drops. As you can no doubt see, the completed figure is quite revealing; more so than the source material. Then again, I don't hear anyone complaining. Accessory-wise, the kit will come with three face plates with different expressions, expressions, three hand types, and Merti's trusty lance. If you want articulation, you'll have to purchase the joints separately. There's no word on additional decals such as eyes, so you might end up having to paint or scribe those on yourself. Needless to say, you'll have your work cut out for you! Merti is planned to debut at the Winter 2012 Wonder Festival, on February 12th. But if you’re diligent enough, you might be able to find it elsewhere. Good luck! 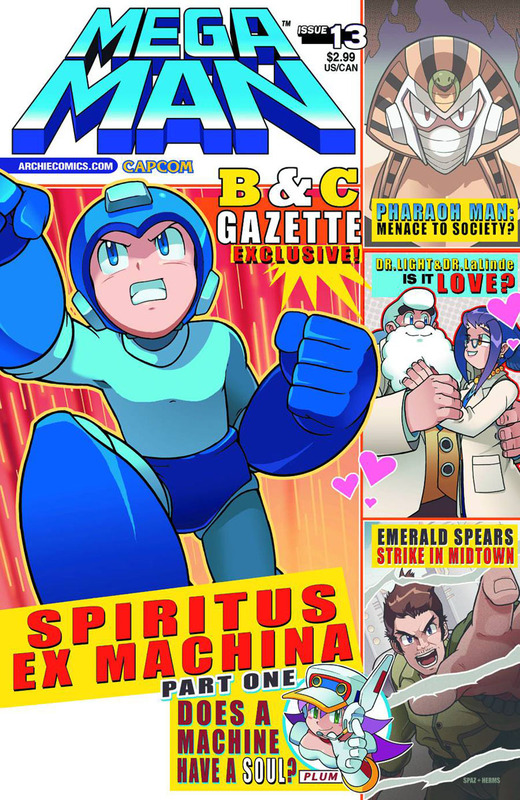 A few days ago, we caught a glimpse of Archie's Mega Man #13, which features a rather unique tabloid-inspired cover. 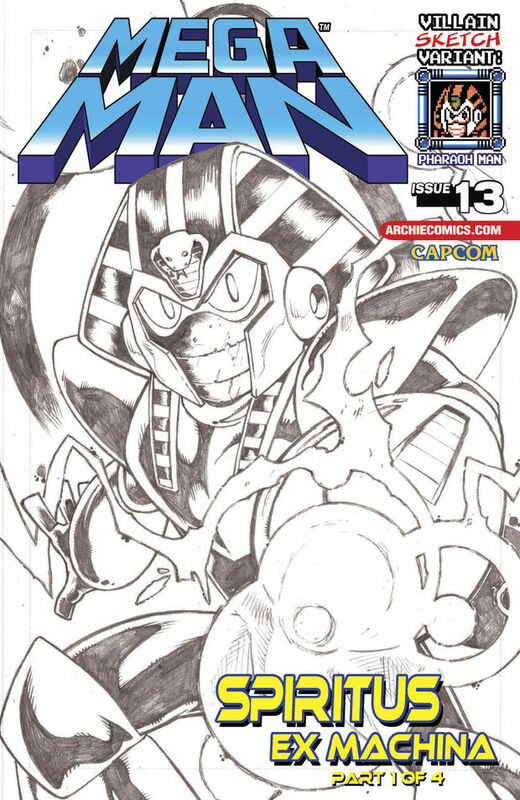 And today, the traditional Villain Sketch Variant cover is upon us, courtesy of Destructoid. The charismatic and diabolical Pharaoh Man takes center stage here, striking an intimidating "come at me bro" pose. Artist Jonathan Hill really knows how to instill fear in the hearts of those who dare to pick up this variant. As usual, color will not be added -- this is the finished piece set to grace a limited number of issues. 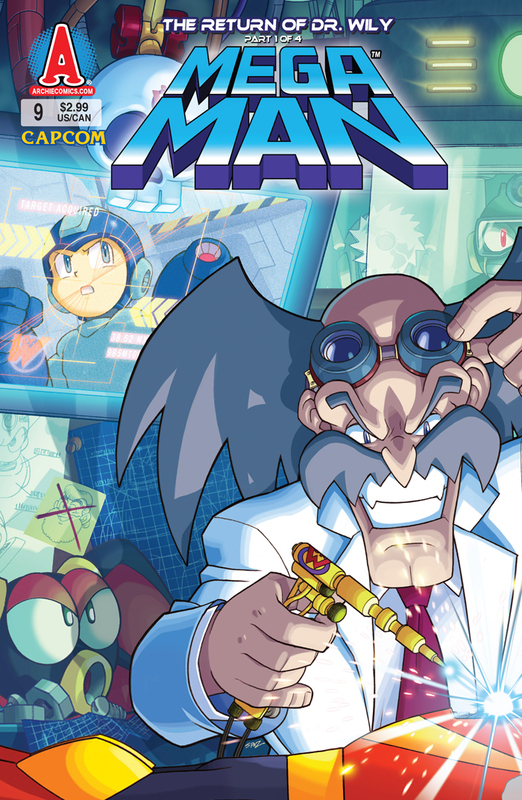 Mega Man #13, both the standard and villain variant, will hit newsstands later this May. Be sure to keep a close eye on Archie's online store for special deals and reprints of previous villain variants! Over the next few weeks or so, I'm going to begin dumping some old promotional/pre-release Mega Man assets right here on the blog. In general, most haven't been seen in years... or at all. Kicking things off, here's a single piece of Mega Man Anniversary Collection concept artwork. I obtained this piece a few weeks after this story ran from a source that once worked closely with the game's developer, Atomic Planet Entertainment. For the usual reasons, he's chosen to remain anonymous. It's a simple, ambient little piece that offers a look back at MMAC's planning phase. 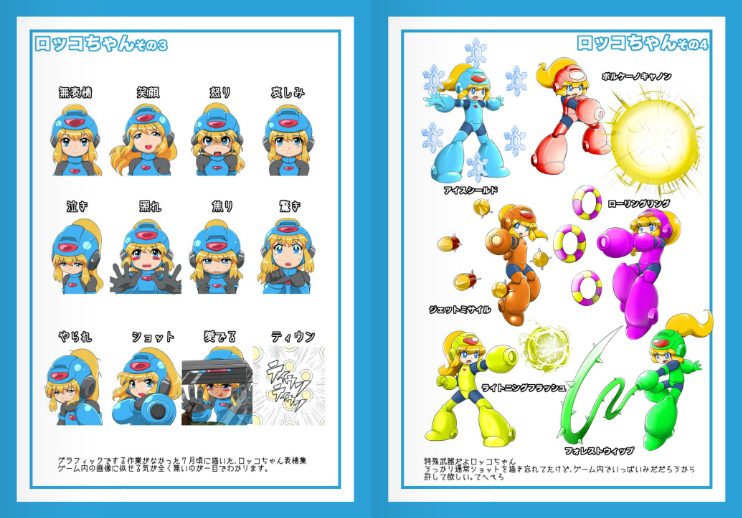 Back when ideas for the collection's contents were being hammered out, the art team had their hands tied conceptualizing a hypothetical "Mega Man museum" -- a central hub where players could explore content spanning across the franchise's 15-year history. 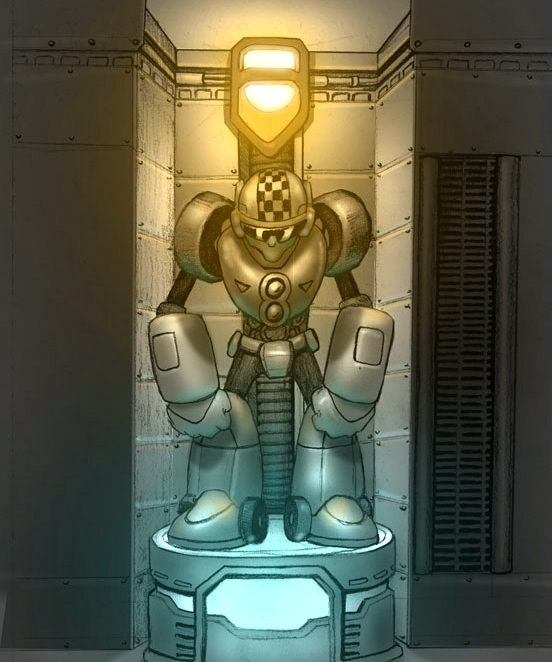 Inspiration for the hub's infrastructure came directly from Mega Man 7's Robot Museum stage, where the bodies of lifeless Robot Masters lined the halls. 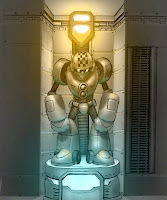 The image of an idle Turbo Man -- awaiting admiration from new and old players alike -- embodies the spirit of the hub's original aesthetic concept. The area would have been laced with robots off all shapes and sizes serving as decorations and figurative curators. However, a tight and often grueling development process forced the concept to be significantly scaled down. Traversing a theoretical Mega Man museum did, in fact, make its way into the final game. Boot up a copy of Anniversary Collection and you'll be whisked away to the fruit of Atomic Planet's efforts. It's not as grand as the team's initial vision, but it's an admirable tribute nonetheless. 'Spiritus ex Machina,' Part 1. Mega Man joins Dr. Light at the Advanced Robotics Trade Show to address the future of thinking machines. A possible love interest for Dr. Light? Uh, I guess that could be interesting. But more importantly, it sounds like we're headed into Super Adventure Rockman territory, what with Wily's mischief in the Lanfront Ruins. Sounds like a pretty exciting issue. Definitely one to lookout for! Destructoid's local Mega Man fan Tony Ponce had a little sit time to chat with the writer of Archie's Mega Man, Ian Flynn. There, Ian strongly hints at incorporations of the classic Game Boy games, giving Roll a more proactive role in the future, and the prospect of seeing brand-new Robot Masters, among other topics. Before we begin, I think some congratulations are in order. Mega Man #9 is out this month, which means you've just lapped the Dreamwave comic [short-run series that was cancelled once the studio closed]! Good for you guys! Ha ha ha! Well, it's easy when you've got such a kickass team to back you up. Have you seen Ben Bate's pages? Good lord, man. He's phenomenal! I'm glad things are going swimmingly. For a while, I was worried about the comic's future. I had heard something about low newsstand numbers. If I recall correctly, I think that was MM #3, and that was a shipping issue. Actually, MM has been doing very well -- #2 broke the usual trend in comics by outselling #1. MM is doing very well, so no worries there! And that's all while Capcom keeps CANCELLING EVERYTHING. Actually, it was Capcom who brought the idea of a comic to us. They've been crazy supportive of the project. I know the rash of game cancellations looks suspect, but they've been nothing but cool with us. Hear that? The comic is doing juuust fine. I know that has been a bit of a stresser for some of you, but rest easy; it's not going anywhere. You can read the full interview here. Thanks for the heads up, Tony! Exorbitant Amazon prices begone! UDON Entertainment's splendid art books, Mega Man: Official Complete Works and Mega Man Zero: Official Complete Works, are now back in stock, fresh from the printer. 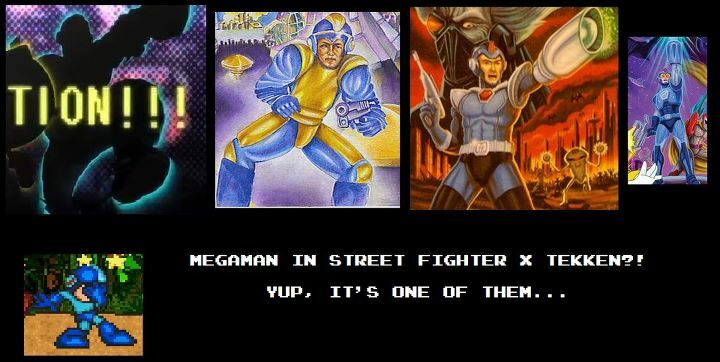 "Mega Man fans Rejoice! 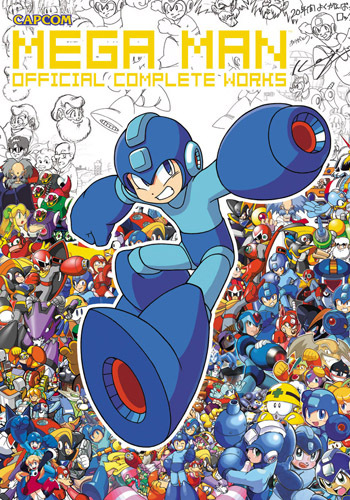 The news that you’ve been waiting for is here, as Mega Man Official Complete Works is now back in print. We realize this book is going for some pretty crazy prices right now, and we’re just as happy as you are that there are now copies available for purchase at cover price. We’ve also just reprinted Mega Man Zero Official Complete Works and Okami Official Complete Works. The books will be making their way to Amazon, Barnes & Noble, an other online outlets within the next two to three weeks. If for some reason you'd rather pick up them up in-store, you can go ahead and request a special order via the Comic Shop Locater. Grab the order codes at the UDON blog here. The sensational video game mash-up that swept the internet in 2010 is back. Mega Man and the likes of other gaming icons return to yield the perils of the Mushroom Kingdom in the upcoming sequel, Super Mario Bros. Crossover 2. If it wasn't apparent enough, Crossover 2 boast spiffy new 16-bit era graphics, which is just awesome-sauce. The game will be available in a couple of months, playable directly at Exploding Rabbit. If you loved the first, you'll no doubt dig this outing. 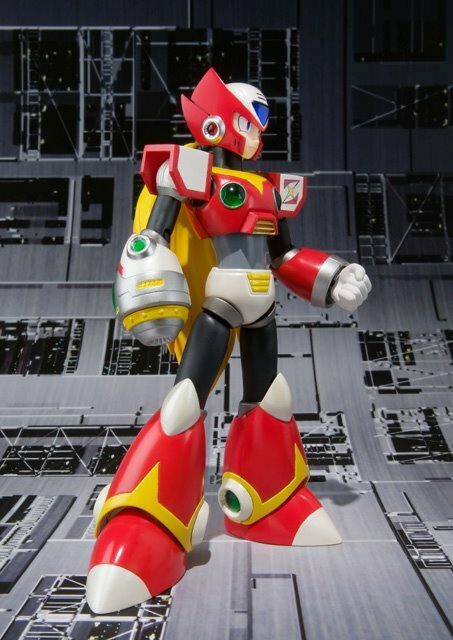 Vote For The Next D-Arts Figures From Bandai! 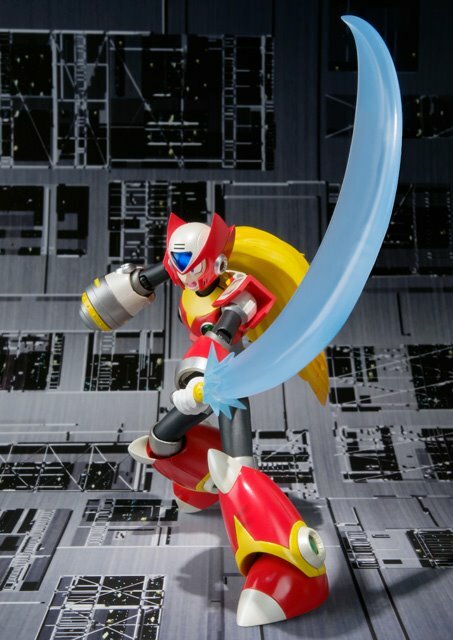 Bandai/Bluefin wants to know what direction to take the Mega Man D-Arts line next, and they need your help! 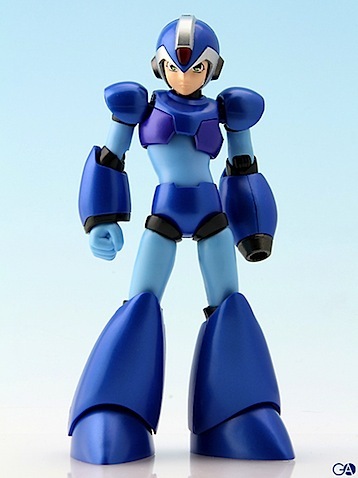 The toy manufacturer is now accepting ideas for which Mega Man characters you’d like to see a D-Arts action figure of. Your mission is officially a go! Poll 1: "We are letting fans add their own choices to vote on possible future figure releases along with some of our choices. Fans will vote on our Facebook page and we will take the top 7 highest polling numbers. We expect to see all sorts of character names thrown on here and will be quite interesting to see since it will be open to ALL megaman games/universes. This poll will be open for 1 week starting Jan 16, 2012 until Jan 23, 2012." Poll 2: "The top 7 from the previous poll will be put on a new poll in order to measure the level of desirability among those seven. This won't have an official end date." You're pretty much free to suggest ideas for anything. No matter how obscure the character -- be it Eddie, Nana, iX, or the Green Biker Dude -- Bandai and Bluefin want to hear your voice! Simply drop a comment at this Facebook post and hope for the best. The 100,000 Strong for Mega Man Legends 3 Facebook group has posted a very special update to their page. In an effort to get the word out about the movement, International Strategies Leader Matt Papa scored an interview with one of the largest radio stations in the country: National Public Radio (NPR). "While I was not able to secure as many interviews as I would have liked to, we WERE interviewed by easily the biggest name at the entire con: National Public Radio," reports Matt from the MAGFest floor. "That's right dudes, NPR interviewed us about 100,000 Strong AND Mega Man Legends 3 to put in a segment they are doing on MAGFest!" According to Matt, the MAGFest feature won't air for another few weeks. In the meantime, we're told to keep a close eye on NPR's schedule for when the segment airs. Of course, I'll be sure to give everyone a reminder, too, when the date draws closer. About 34 million people tune into NPR programming each week. So, yeah; the fight for Legends 3's reinstatement just got a whole lot more interesting. A little mainstream exposure could go a long way. Best of luck, Team Legends! Why, it's the official 25th anniversary logo! Spiffy, no? A little plain for my tastes, but for all we know, this could be a work-in-progress/placeholder design. Mind you, we aren't suppose to be seeing this right now. As per usual, the logo will probably be used to promote products and events related to the Blue Bomber's 25th. Previous anniversary logos have adorned everything from games and books, to commemorative food products. If this is indeed the final design, be prepared to see it grace everything released under the IP throughout the year. Next fiscal year officially kicks off around March 31st, 2012. I advise you continue to keep your expectations in check until we have a better idea of what, exactly, these "things" may be. Nevertheless, the logo is an ensuring sign of things to come. A blue robot and a blue hedgehog working together? 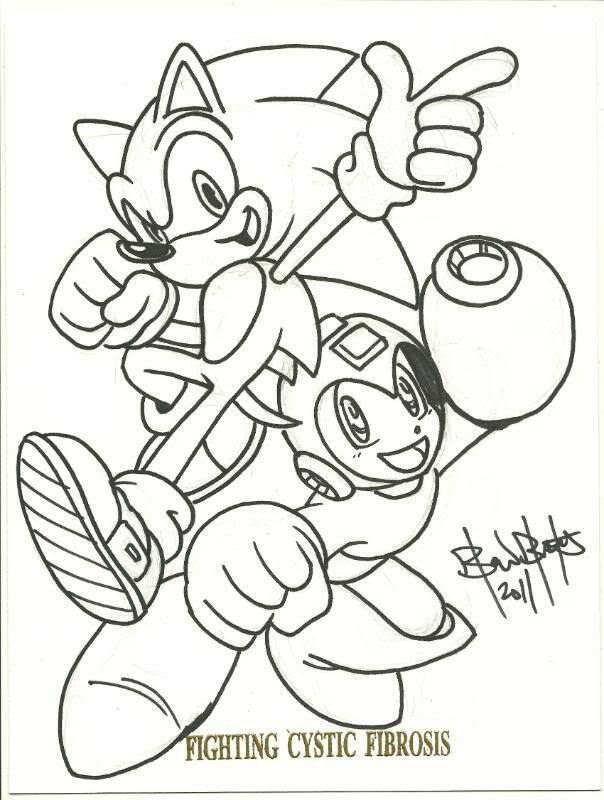 It's a crossover Archie Comics have been mulling over, but for now you'll have to make do with this: an original sketch of the dynamic duo drawn and signed by Archie's Ben Bates. 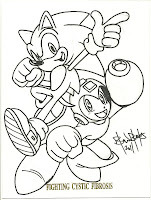 Elveen's Comics and Collectibles has opted to put up the exclusive sketch of Mega Man and Sonic the Hedgehog up for auction in order to raise money for charity. Once the auction is closed and set, all benefits will go to Team Alyssa, a charity committed to fighting Cystic Fibrosis; a debilitating disease with sufferers requiring ongoing support with their health. The bidding begins at $9.99, with six days and four hours left to go. If you’re interested in taking part, you’ll find the auction on eBay here. It's a splendid sketch that will look great on any collector's mantle! I wish Elveen's the best of luck in reaching their goal for a worthy cause. Last week, we were introduced to Rokko Chan, a charming Mega Man clone that features a female Blue Bomber. Prompted by the game's success and cult following, developer King has graciously released a pair of goodies you may want to check out. 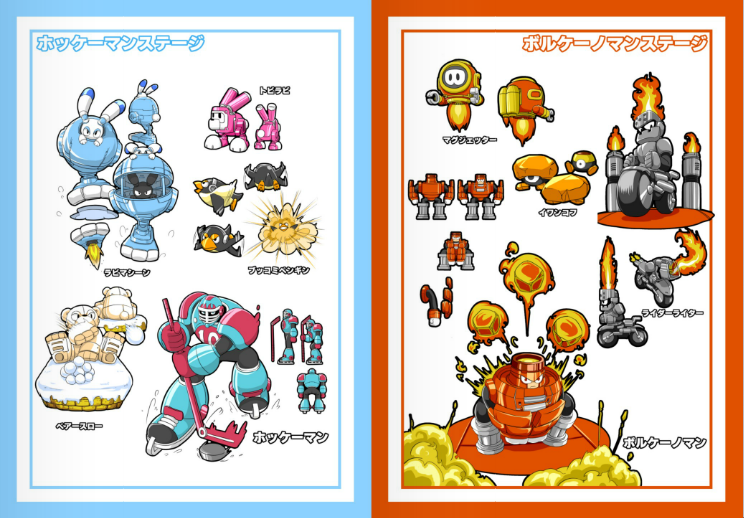 The official Rokko Chan art book (sampled above) is available for your consumption on this page. 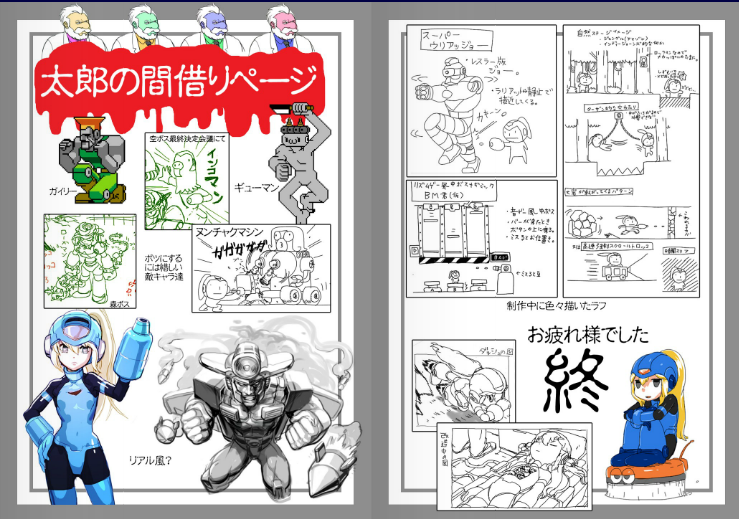 Inside, you'll find an abundance of images from Rokko Chan's development. There's some conceptual designs, 3D renderings, sprites, and even a few kooky surprises thrown in. Unfortunately, the 22-page book is entirely flash-based. A high resolution PDF version is not readily available at this time. Even so, it's a delight to behold. UPDATE: Here's a rip, courtesy of GeminiSaint! If you fancied Rokko Chan's excellent chiptune soundtrack, you'll be pleased to know the soundtrack has gone live. Grab it here and typed the word "rokko" into the blank field at the top, and press the button directly underneath. The page should open a link to download the soundtrack. If that fails after five seconds, click the link that reads "こちら". Enjoy, folks! And if you haven't played Rokko Chan yet... well, what are you waiting for? Give it a spin here! 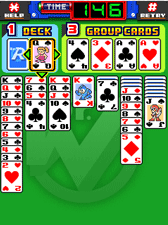 Following in the footsteps of its predecessor, X Version, the game boasts high quality graphics and sound and the addition of a brand-new online ranking mode. If you happen to be in Japan, you can download the game for a mere 450 Yen (520 Yen for AU subscribers). 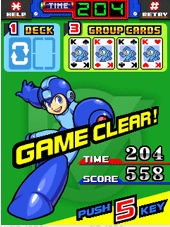 Secondly, we've also caught word that Capcom plans to release a Rockman-themed Solitaire game in the near future. The game will use classic 8-bit sprites in lieu of those lovely revamped Rockman Rockman Puzzle Battle graphics. UPDATE: First screenshot, logo available at the Mega Man Network. 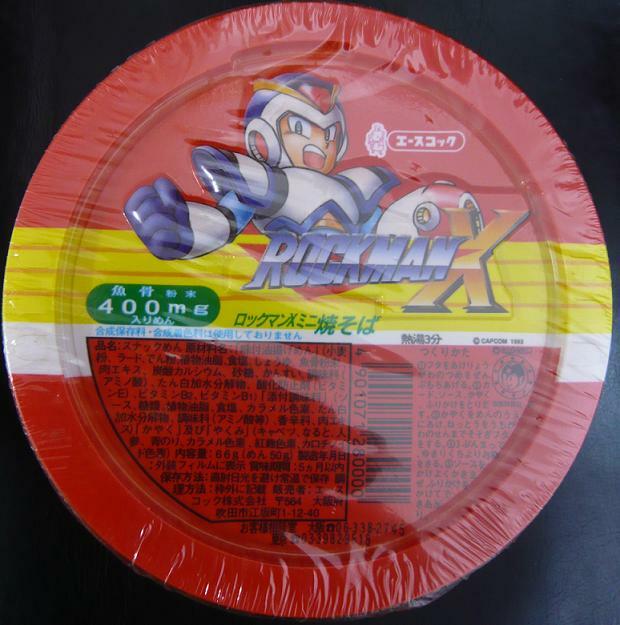 Can't say I'm surprised to see another puzzle-based Rockman game coming down the pike. These things seem awfully easy to produce, so one can only wonder what will come next. 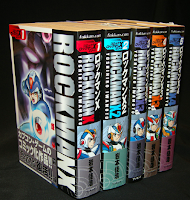 Rockman Backgammon? Rockman Go Fish? Crossword Puzzle Battle? Yeah; I like the sound of that last one. How did you feel about completing the story? Because it’s an epic story… were you glad it was finished or were you sad it was over? "I first started the story about ten years ago, so I kind of felt relieved that I finally got all the way to this point, to be finished. I actually came up with the finale of the book back in ’98, so more than 10 years ago. "When I was working on the book there were times when production on the videogame would pause, and then it would start up again. 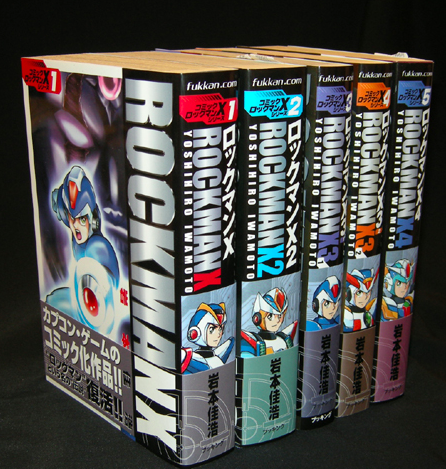 For instance, there was a long period of time between Rockman 8 and Rockman 9. 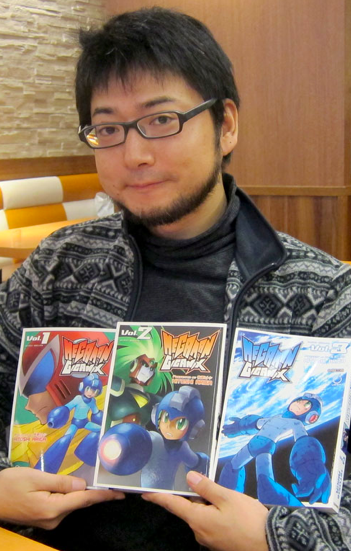 So the publisher said, ‘because the game is not coming out, we don’t really need to make a new manga.’ Also, the magazine that was originally publishing my manga stopped carrying Megaman all together, so that was another delay." Ariga also spends a bit of time discussing future projects, although he can't go into too much detail at the this time. Of note, Ariga teases he's involved with some video game work... but, again, he can't comment. 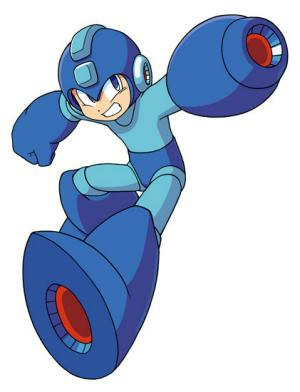 Could Capcom have possibly brought Ariga in to assist with a new Mega Man game? We already know he's working on something related to the Blue Bomber, but what? As always, speculation is welcome. Fans of Hitoshi Ariga's work should definitely give the full interview a read at the UDON blog! 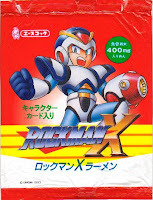 After having been out of print for many years, Yoshihiro Iwamoto's acclaimed Rockman X manga is being reissued in Japan. Fan-demand has led publisher Fukkan to reissue the manga in its entirety, available while supplies last. 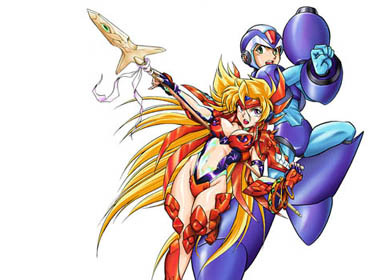 The manga's most recent reissue was in 2005, coinciding with the debut of Irregular Hunter X. For collectors, the big draw there was the new covers made for the books by Iwamoto himself. The 2012 reissues are based on those editions, which condensed the original 12 tankobons into five thick volumes (pictured). Orders are now being taken directly on Fukkan.com for these 1,995 Yen (roughly $26) books. Fukkan estimates the reprints will sell out by mid January, so once they're gone, they're gone. The publisher made no mention if they intend to offer the 2012 editions again at a later date. 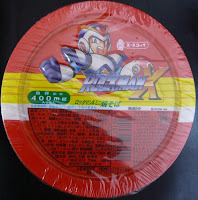 Considering all their success with Mega Man, I’d say there's no time like the present for UDON Entertainment to bring these puppies stateside. Keep voicing demand, and we'll see what happens!